The Tasmania government and the country’s powerful poppy industry are at loggerheads over the ban on genetically modified (GM) farming. At a time when the state is planning to extend the ban on GM crops when it expires in November this year, the poppy industry is strongly lobbying for the moratorium to be lifted, says a Reuters report. Tasmania is the only Australian state that bans GM crops and animal feed. This moratorium has made the island nation a valued agriculture market. Its isolation and wilderness and a population of just over half a million has contributed to making it one of the “cleanest places on earth”, the report says. But now with a push for GM farming—which will come with it harmful effects and innovations—Tasmania’s pristine environment is under threat. The poppy industry in the country is the world’s largest supplier of pharmaceutical grade opiates for painkillers. The state of Victoria, in mainland Australia, recently expressed interest in allowing the production of GM poppies. According to poppy farmers, retaining the ban in Tasmania and expanding production across Australia will leave them handicapped. Reuters reports that Tasmania’s efforts to secure a further five-year ban on other Australian states growing poppy for commercial production have fallen on deaf ears as the federal government considers Victoria’s bid. GM crops were banned in Tasmania more than a decade ago after genetically modified canola escaped from crops during secret trials around the state. Tasmania’s fear of contamination is reflected in its stringent food import rules. Reuters reports that visitors arriving from the mainland are required to dispose of any food products before leaving the airport. The federal government, however, granted Tasmania an exclusive licence to grow opium for legal commercial production. The path that Tasmania chooses to tread with regard to GM crops will be critical for the country as Australia seeks to become a “food bowl” for Asia. At present, Australia is the third- and fourth-largest exporter of beef and wheat in the world. In Tasmania, the emphasis is on high-value crops and cattle for export. According to Reuters, the state’s niche producers are supplying everything from off-season wasabi and lavender teddy bears to fresh salmon and live abalone as they see this as the future rather than low-value, bulk commodities. These products attract a premium because of the GM ban—Tasmania’s honey brings in prices of at least 40 per cent more than mainland honey—according to the Safe Food Foundation, an Australian non-profit. 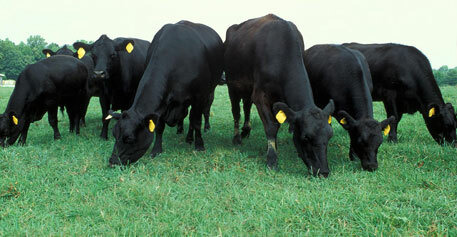 Black Angus bulls are in high demand in the Japanese market. Tasmania Feedlot Pty Ltd in Powranna rears between 6,000 and 11,000 Angus bulls throughout the year. These are beefed up over a period of five to six months before large cuts are shipped frozen to Japan. “They’re looking for a very safe product, and a very consistent product,” Feedlot’s managing director Andrew Thompson told Reuters about the Japanese buyers. “GM is one of the main factors, along with no use of hormone growth promotants. We’ve got this great reputation of being safe and clean and I think we’ve got to enhance that into the future,” he added.